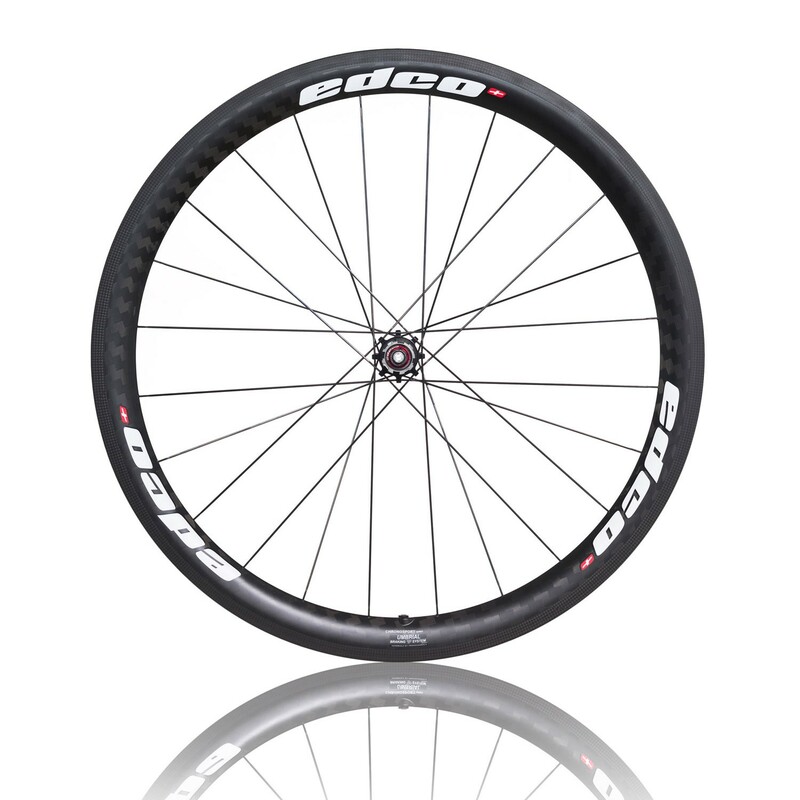 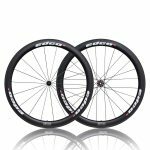 The new Edco Umbrial chronosport wheel uses the 9km 8mm twill weave and 3k rim bed with Kevlar reinforcement for a very light and stiff rim. 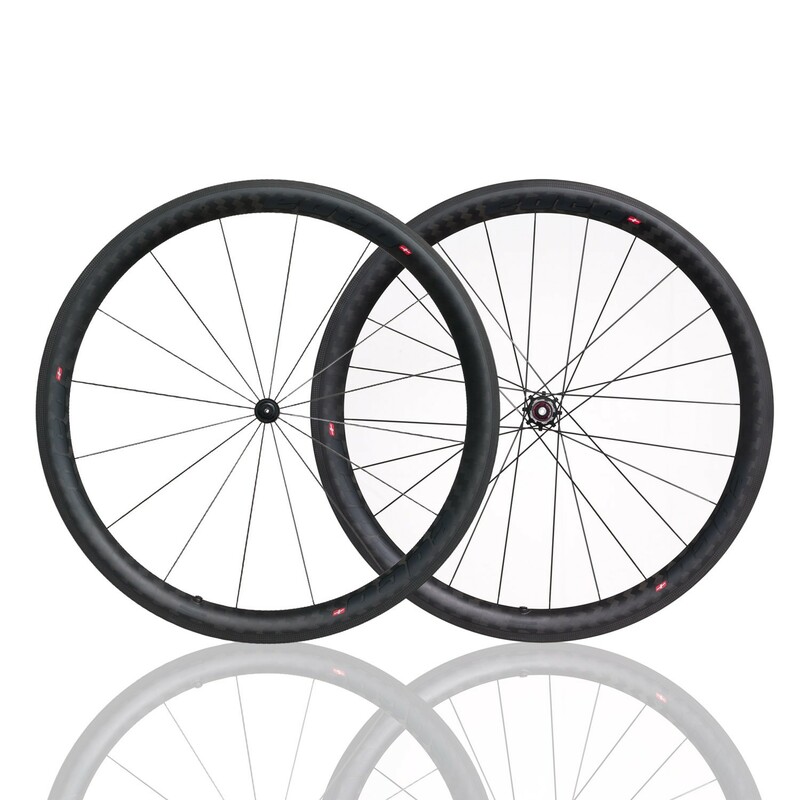 Also utilising the new ILT braking surface for improved braking in the wet. 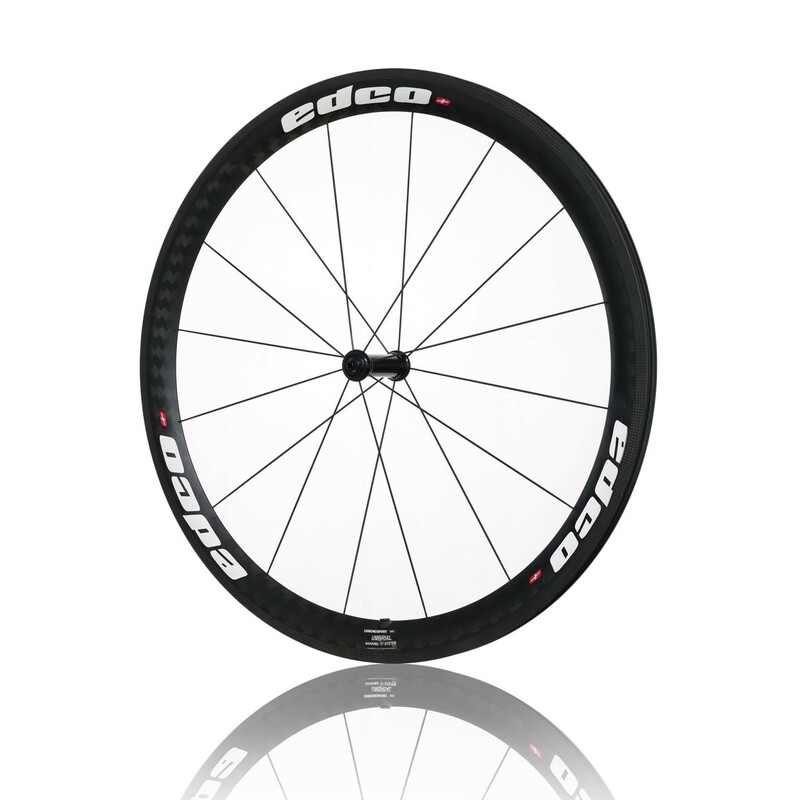 For use with clinchers. 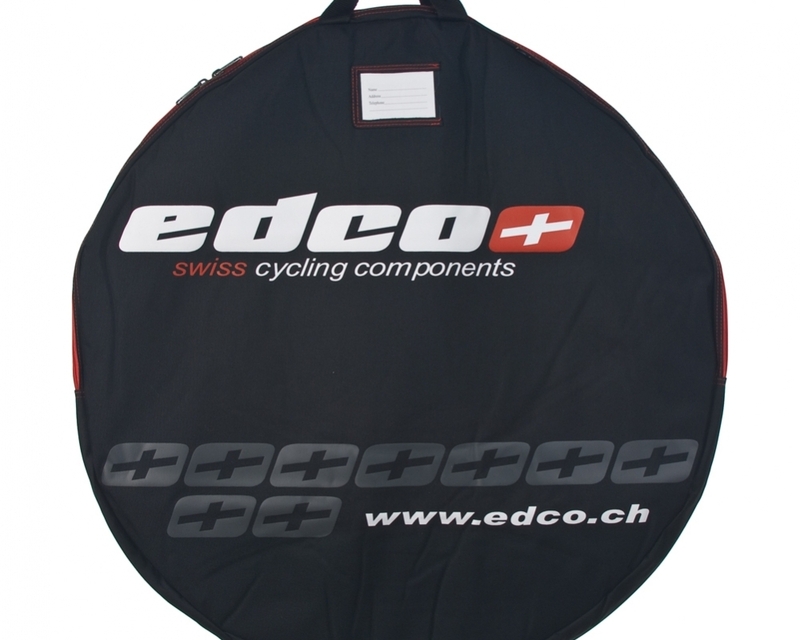 Edco branded wheel bags and brake pads included. 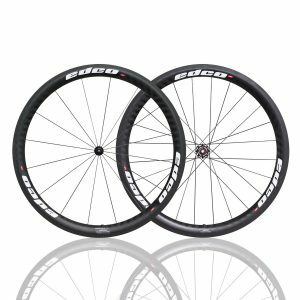 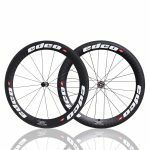 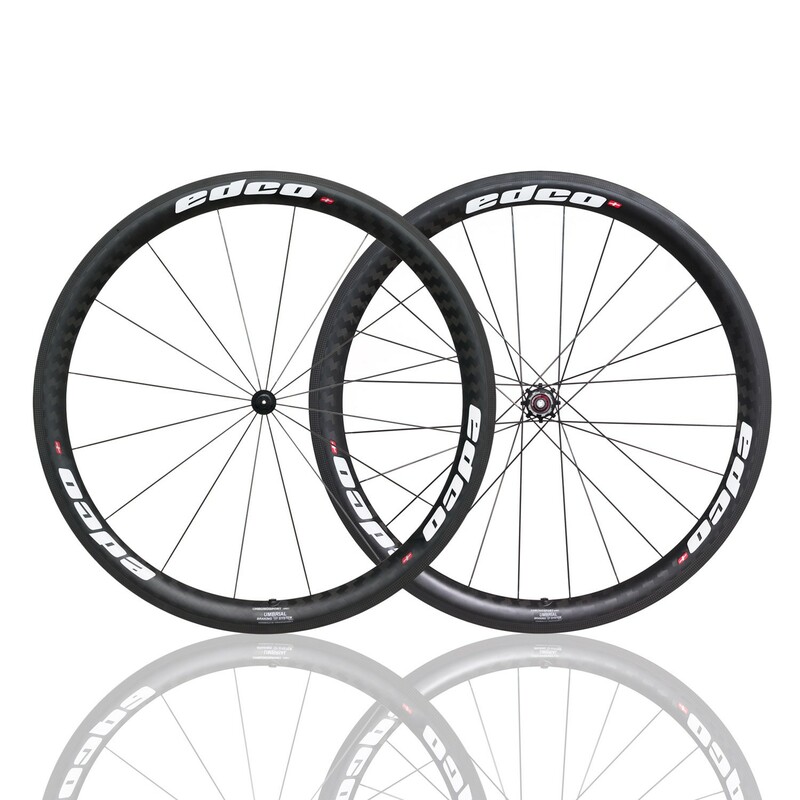 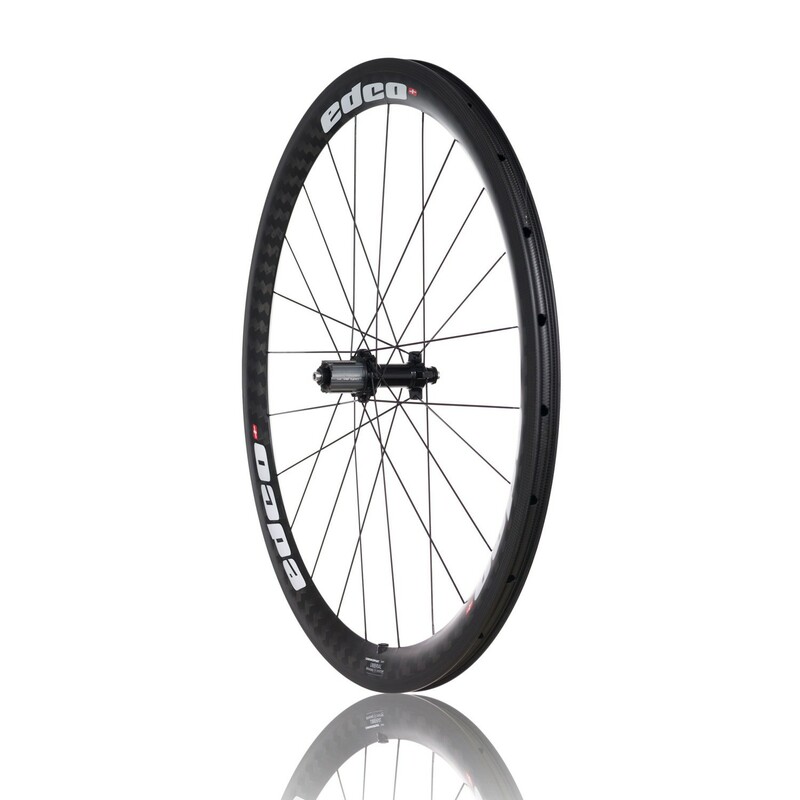 Rim – 45mm V shaped profile, 26.5mm external width, 17mm internal width. 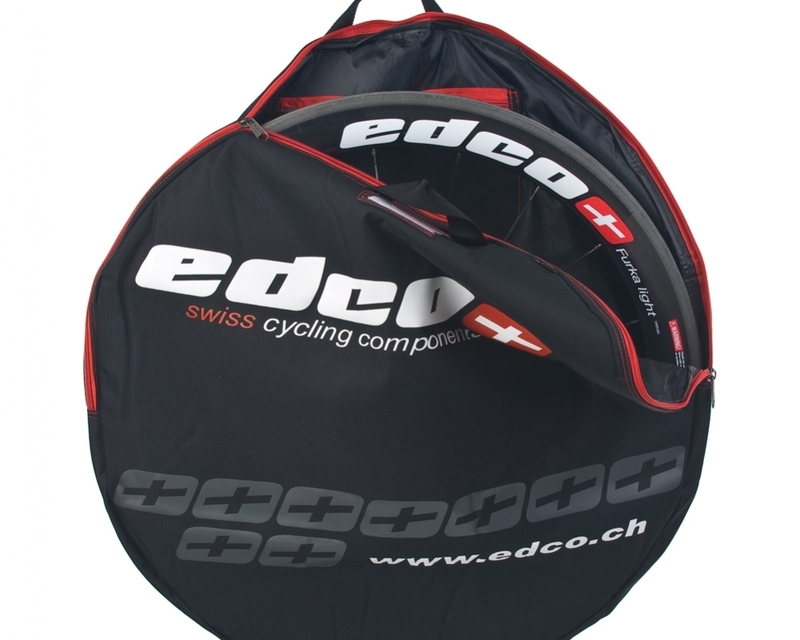 9K 8mm Twill Weave carbon with 3K carbon rim bed and brake track.